We don’t talk about this much. India’s caste system is an intangible barrier to upward mobility. We assume the ‘untouchables’ are a one lumpen mass of poor. Is the post liberalization economic growth finally offering opportunities for change? “Post-liberalization, the country witnessed a transition from the caste-based occupations and services to modern businesses. Looking at so many self-made people from different communities across the country, aspirations among more and more people started rising, they started taking risks and are now competing with the market (irrespective of the caste),” says Milind Kamble, founder of the Dalit Indian Chamber of Commerce and Industry (DICCI), an organization that brings together all the Dalit entrepreneurs in India under one umbrella. According to DICCI, there are more than 30 Dalit crorepatis (billionaires) in the country. Although, there is no reliable data on the profile of scheduled caste entrepreneurs, as per rough estimates of DICCI, there are 1,000 Dalit entrepreneurs with combined turnover of Rs.60,000 crore. 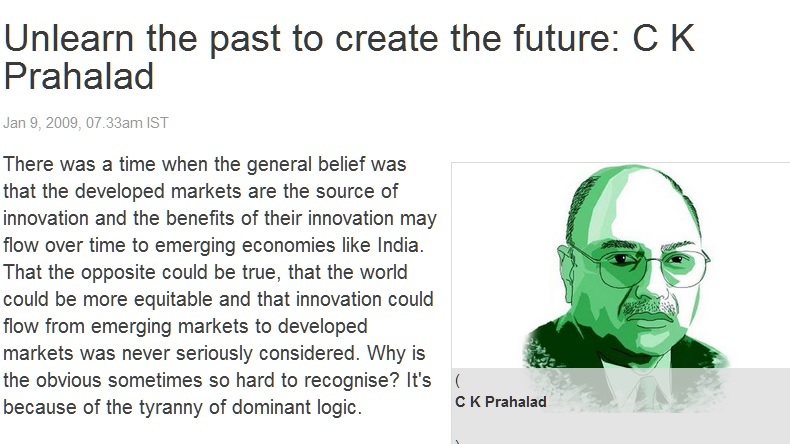 Reading Siddhant Kumar’s story reminds me of CK Prahalad’s immortal words on the tyranny of dominant logic. Taking this concept a step further, we can say the same about Indian beliefs. Innovation was a top down process, designers came from elite English educated families. Instead, what we have here, is a designer from IIT Bombay who breaks the rules. “While all entrepreneurs in India face obstacles because of lack of credit from the formal banking system, potential Dalit entrepreneurs are doubly handicapped because they almost invariably lack the collateral and also because of their more limited access to informal credit through community networks,” according to the book Defying the Odds: The Rise of Dalit Entrepreneurs by Devesh Kapur, D.Shyam Babu and Chandra Bhan Prasad. Note that the very same tools inspiring young Africans to break free of their expected roles (jobs in government) and start online businesses, are what offered Kumar his break – e-commerce, and dreams of the brass ring. NB: It isn’t just the Dalit who face caste based discrimination, every caste faces prejudice and stereotypes, so much so that my father too dropped the caste marker from my name and gave me his middle name. We are Gupta, the greedy, grasping, miserly moneylenders of middle India.